Dewey Destin's is a place we would have driven by. There's a small sign at the end of a long driveway that's easy to miss if you're not looking for it. If you make it to the end of the driveway and into the parking lot, you'll be greeted with this little building. But, don't be fooled, the food is great and the view unbeatable! 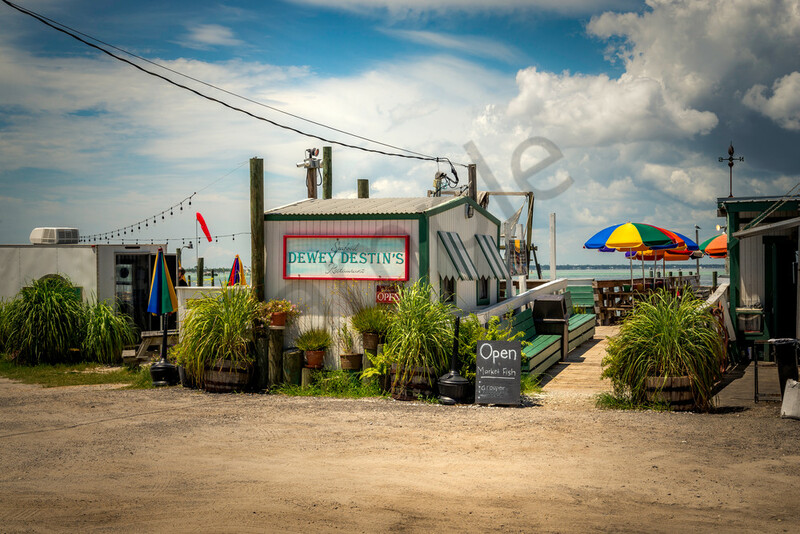 I had to get a several photographs of Dewey Destin's. It was too pretty to pass up. Sitting almost on the dock, the scenery is remarkable, and the food is fresh-out-of-the-water delicious!